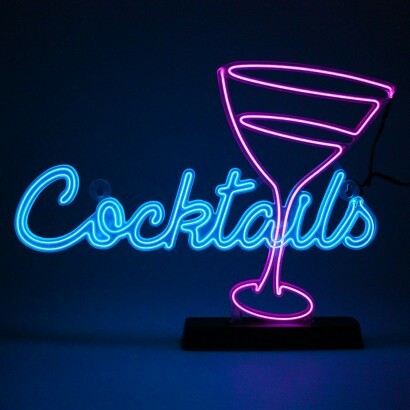 Call cocktail time in style with this colourful cocktail sign that mimics the vibrant neon bar signs of yesteryear! 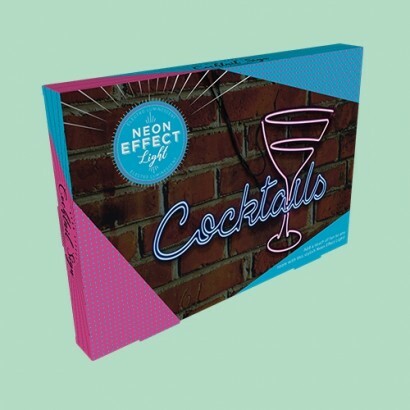 Made with colourful electro luminescent wire instead of neon, this striking sign is just as bright but safe to use and remains cool to touch. 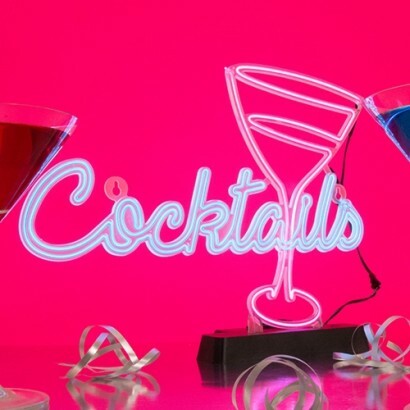 Gather your friends and say cheers to cocktail time with this retro sign that has three cool functions; static, flashing and strobe and get into the spirit of happy hour any day of the week! 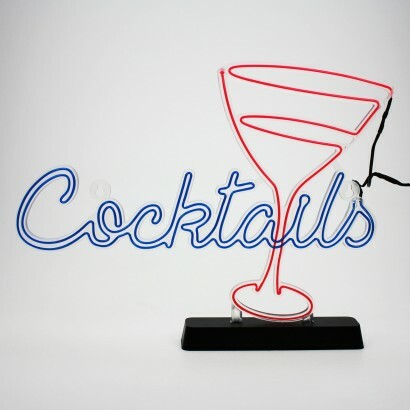 Battery operated, this funky retro sign can be placed anywhere in the freestanding base included, or can be wall mounted a s a more permanent fixture. Cheers!